Have not received your Membership Card or ID? We couldn't find any applications with this Distributor Account Number. Set up your profile	 * All fields are mandatory. 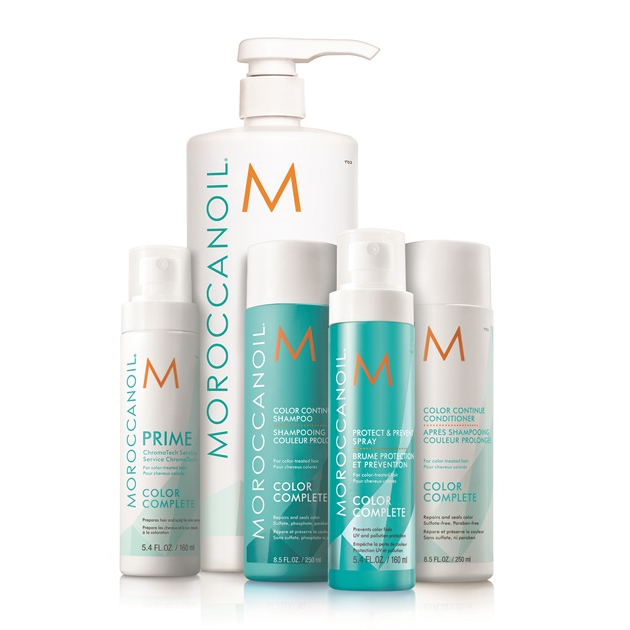 The Portal is managed by MOROCCANOIL Israel, Ltd. or its affiliates or subsidiaries ("Moroccanoil"). The Portal is offered to Salon conditioned on its acceptance without modification of the terms, conditions, and notices contained herein. Salon’s use of the Portal constitutes its agreement to all such terms, conditions, and notices. The Loyalty Salon Portal was created by Moroccanoil to facilitate every step of the credit redemption process between each Salon enrolled in the Moroccanoil’s Salon Loyalty Program and its Moroccanoil Distributor (“Distributor”). Through the Portal, Salon will have the opportunity to view its available Moroccanoil reward credits (“Reward Credits”), to place loyalty redemption orders, and to monitor its redemptions. 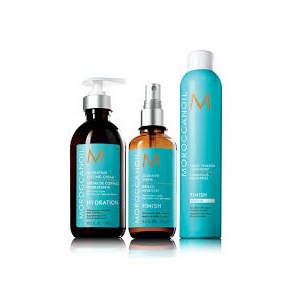 The Moroccanoil Salon Loyalty Program has been created and is managed by Moroccanoil. However, the credit redemption process is under the exclusive control of Distributors, who will entirely and solely be responsible for processing and shipping any and all loyalty redemption orders placed by a Salon through the Loyalty Salon Portal. In using the Loyalty Salon Portal, Salon acknowledges that Moroccanoil assumes no contractual or legal responsibility pertaining to the credit redemption process. Moroccanoil specifically reserves the right to amend, alter, withdraw or terminate access to the Loyalty Salon Portal for any or all Salons, as well as any program, benefit or redemption associated with the Moroccanoil Salon Loyalty Program or the below rules either with or without notice. Any such changes may affect the Reward Credits which a Salon may have already accumulated, as well as any future accumulation of Reward Credits. 1. Each month, Distributor will be responsible for updating Salon’s reward profile by inputting its monthly purchases after discount. The total amount of Reward credits obtained as a result of Salon’s monthly purchases is calculated in accordance with the terms and conditions of the Moroccanoil Salon Loyalty Program. 2. In order to redeem its Reward Credits, Salon must place its loyalty redemption order through the Loyalty Salon Portal. A Distributor Sales Consultant may also place loyalty redemption orders for Salon. Loyalty redemption orders will only be shipped by Distributor to Salon if complete and only as part of Salon’s next regular Moroccanoil Product Order. No loyalty redemption orders will be shipped separately. 3. Reward Credits have no monetary value whatsoever and cannot under any circumstances form the basis of a monetary claim against Moroccanoil or Distributor. Reward Credits will be declared void if sold, exchanged or transferred. As a result, Salon may be subject to loss of Moroccanoil Salon Loyalty Program privileges including the use of the Loyalty Salon Portal. 5. Moroccanoil reserves the right to change the terms, conditions, and notices under which the Portal is offered. Salon is responsible for regularly reviewing these terms and conditions. 7. Moroccanoil assumes no liability in respect to Reward Credits claimed. Salon agrees that Moroccanoil and any of its affiliates, subsidiaries or representatives are not responsible for, and Salon hereby releases Moroccanoil, any and all liability arising as a result of, any accident, loss, injury or damage caused in connection to the redemption of Reward Credits supplied or requested in connection with the Moroccanoil Salon Loyalty Program or any loyalty redemption orders, or any use of the Loyalty Salon Portal. 9. Salon shall be responsible for any taxes, departure fees, security charges, levies or other charges imposed by or with the authority of any government or governmental authority in respect to any Rewards Credits, loyalty redemption orders or any type of redemption. 10. Salon shall be responsible for keeping up to date on the amount of Reward Credits in its account. 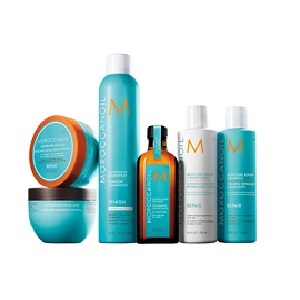 Moroccanoil shall attempt to communicate statement and/or other program information and/or promotional information to Salon through the Loyalty Salon Portal. Moroccanoil shall have no liability for any failure to do so. 11. 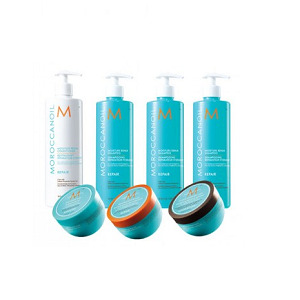 Salon shall be responsible for advising Moroccanoil and its Distributor of any change of mailing or email address. Moroccanoil and Distributor shall not be liable for misdirected communications such as mail or email, or any consequences thereof. 12. Reward Credits in an account may expire after a certain amount of time, to be decided by Moroccanoil at its own discretion. 13. Salon account information may only be given to Salon or to a person designated by Salon in writing. 14. Moroccanoil will be the final authority as to the interpretation of these Terms and Conditions. 15. Salon acknowledges and agrees the obligations and undertakings of the parties will be performable in Los Angeles, California. The Moroccanoil Salon Loyalty Program and the Loyalty Salon Portal shall be governed by and construed in accordance with the laws of the State of California. If any action is brought to enforce or interpret the Program or use of the Portal, venue for the action will lie in Los Angeles, California. 16. No waiver by either party of any breach or default hereunder shall be deemed to be a waiver of any preceding or subsequent breach or default. If any provisions contained herein shall be determined to be void, invalid, or otherwise unenforceable by a court of competent jurisdiction, such termination shall not affect the remaining provisions contained herein. 17. Moroccanoil makes no warranties or representations about the accuracy or completeness of this Portal's content. 18. Moroccanoil does not filter advertisements or other content that children may view through the Portal or "hot-linked" sites, and they could receive content and materials from the Internet and/or advertising that are inappropriate for children. Moroccanoil encourage parents and guardians to spend time online with their children and to consider using an electronic filtering software. 19. THIS PORTAL AND THE MATERIALS, INFORMATION, SERVICES, AND PRODUCTS IN THIS PORTAL, INCLUDING, WITHOUT LIMITATION, TEXT, GRAPHICS, AND LINKS, ARE PROVIDED "AS IS" AND WITHOUT WARRANTIES OF ANY KIND, WHETHER EXPRESS OR IMPLIED. TO THE FULLEST EXTENT PERMISSIBLE PURSUANT TO APPLICABLE LAW, MOROCCANOIL DISCLAIMS ALL WARRANTIES, EXPRESS OR IMPLIED, INCLUDING, BUT NOT LIMITED TO, IMPLIED WARRANTIES OF MERCHANTABILITY AND FITNESS FOR A PARTICULAR PURPOSE, NON-INFRINGEMENT, FREEDOM FROM COMPUTER VIRUS, AND WARRANTIES ARISING FROM COURSE OF DEALING OR COURSE OF PERFORMANCE. MOROCCANOIL DOES NOT REPRESENT OR WARRANT THAT THE FUNCTIONS CONTAINED IN THE SITE WILL BE UNINTERRUPTED OR ERROR-FREE, THAT DEFECTS WILL BE CORRECTED, OR THAT THIS PORTAL OR THE SERVER THAT MAKES THE PORTAL AVAILABLE ARE FREE OF VIRUSES OR OTHER HARMFUL COMPONENTS. MOROCCANOIL DOES NOT MAKE ANY WARRANTIES OR REPRESENTATIONS REGARDING THE USE OF THE MATERIALS IN THIS PORTAL IN TERMS OF THEIR COMPLETENESS, CORRECTNESS, ACCURACY, ADEQUACY, USEFULNESS, TIMELINESS, RELIABILITY OR OTHERWISE. THE ABOVE LIMITATIONS MAY NOT APPLY TO SALON. 20. IN NO EVENT SHALL MOROCCANOIL BE LIABLE FOR ANY DIRECT, INDIRECT, SPECIAL, PUNITIVE, INCIDENTAL, EXEMPLARY OR CONSEQUENTIAL, DAMAGES, OR ANY DAMAGES WHATSOEVER, EVEN IF MOROCCANOIL HAS BEEN PREVIOUSLY ADVISED OF THE POSSIBILITY OF SUCH DAMAGES, WHETHER IN AN ACTION UNDER CONTRACT, NEGLIGENCE, OR ANY OTHER THEORY, ARISING OUT OF OR IN CONNECTION WITH THE USE, INABILITY TO USE, OR PERFORMANCE OF THE INFORMATION, SERVICES, PRODUCTS, AND MATERIALS AVAILABLE FROM THIS PORTAL. THESE LIMITATIONS SHALL APPLY NOTWITHSTANDING ANY FAILURE OF ESSENTIAL PURPOSE OF ANY LIMITED REMEDY. BECAUSE SOME JURISDICTIONS DO NOT ALLOW LIMITATIONS ON HOW LONG AN IMPLIED WARRANTY LASTS, OR THE EXCLUSION OR LIMITATION OF LIABILITY FOR CONSEQUENTIAL OR INCIDENTAL DAMAGES, THE ABOVE LIMITATIONS MAY NOT APPLY TO SALON. 21. The entire content included in the Portal, including but not limited to text, design, graphics, interfaces, or code and the selection and arrangements thereof is copyrighted as a collective work under the United States and other copyright laws, and is the property of MOROCCANOIL. The collective work includes works that are licensed to MOROCCANOIL. ALL RIGHTS RESERVED. All trademarks, service marks, and trade names (collectively the "Marks") are trademarks or registered trademarks of and are proprietary to MOROCCANOIL, or other respective owners that have granted MOROCCANOIL the right and license to use such Marks. Just a few more things before we complete your registration! Do you want to allow your DSC to redeem on your behalf? Please make your decision. You can change this in your settings later. Which of these Enhancement Packages would you like to receive as part of your intro package? 1 x COLOR CONTINUE SHAMPOO - 1L / 33.8 OZ. 1 x COLOR CONTINUE CONDITIONER - 1L / 33.8 OZ. 1 x PROTECT & PREVENT SPRAY - 160 ML / 5.4 OZ.